The Recycling Program accepts various items. View a list of acceptable items below and additional information for the program. All containers must be emptied and rinsed clean. No expanded foam or clear polystyrene per joint advisory from the Illinois Recycling Association, Illinois Department of Plastic. No motor oil, insecticide, herbicide, or hazardous chemical containers. No plastic film, including plastic sheets, tarps or wrap. All of the above items can be put in the green/blue recycling container. This container is picked up every other week, on the same day as your normal trash pickup day. Items will be separated at the plant. Visit the Resource Management Companies website for more information. The following observed holidays will affect services: New Year’s Day, Memorial Day, Fourth of July, Labor Day, Thanksgiving and Christmas. 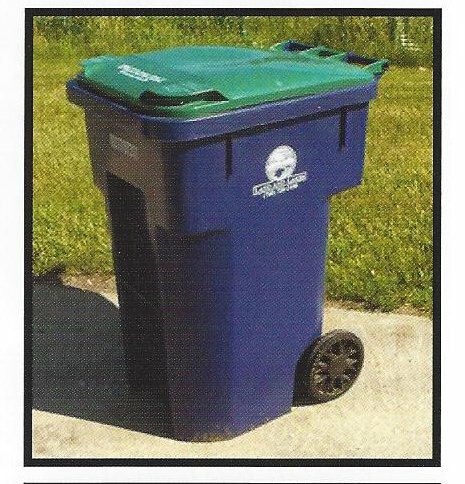 If a holiday falls during a service week, all trash, recycling, and yard waste services will be delayed for one day.